We, as a group of 70 South African ecumenical accompaniers who have monitored and reported human rights abuses in Palestine cannot remain silent at a time like this. We remember how often Palestinians told us that if we as South Africans can have a just freedom, then it must be possible for them too. 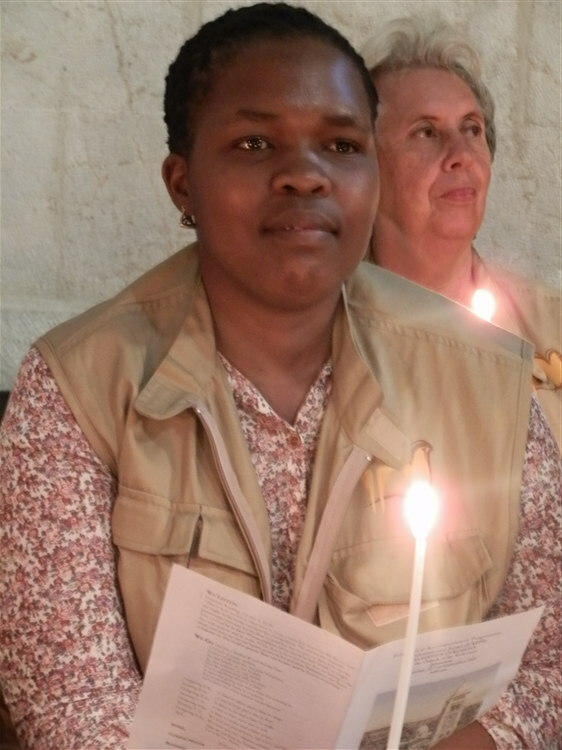 South African ecumenical accompaniers have worked side to side with other internationals in occupied Palestine since 2004 in the Ecumenical Accompaniment Programme in Palestine Israel (EAPPI). EAPPI was established by the World Council of Churches in response to a call from the Heads of Churches in the Holy Land. EAPPI provides protective presence to the vulnerable Palestinian communities and supports Palestinians and Israelis working together for peace. We have witnessed multiple and layered injuries and losses by Palestinians whether Christian or Muslim. We value and recognise the safety and dignity of all those in Israel and Palestine. Yet we are not impartial when it comes to international law. SA-EAPPI is appalled and devastated with the ongoing bombings, shelling and rocket firing in Israel and Palestine. However we absolutely reject any arguments that position the conflict between Palestinians and Israelis as two equal sides. The disproportionate killing of civilians including so many children horrifies us. That people are deprived of shelter, food, electricity, water and the hope of freedom is a source of shame to all who value the sacredness of life and the protection of international law. The current escalation in the conflict is not a war, let alone an act of self-defence, but a punitive, planned, strategic, militant expedition by a regional super-power to deepen Israel’s military occupation of Palestine. Moreover, Israel’s systematic, systemic, institutionalised oppression of the Palestinians that violates international law on a daily basis makes the conflict a-symmetric. the international society to ensure the consistent implementation of international law. East-Jerusalem: Carol Martin and Zodwa Nsibande during the handover ceremony between EAPPI Teams 40 and 41 in September 2011.